Hey guys! 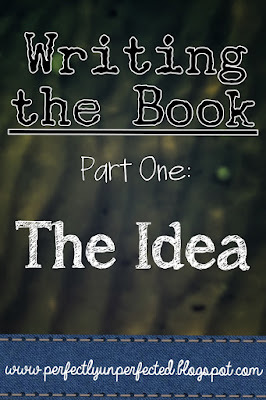 Today's post is the first in a series that I've titled, "Writing the Book." (I know, the title is soo creative). 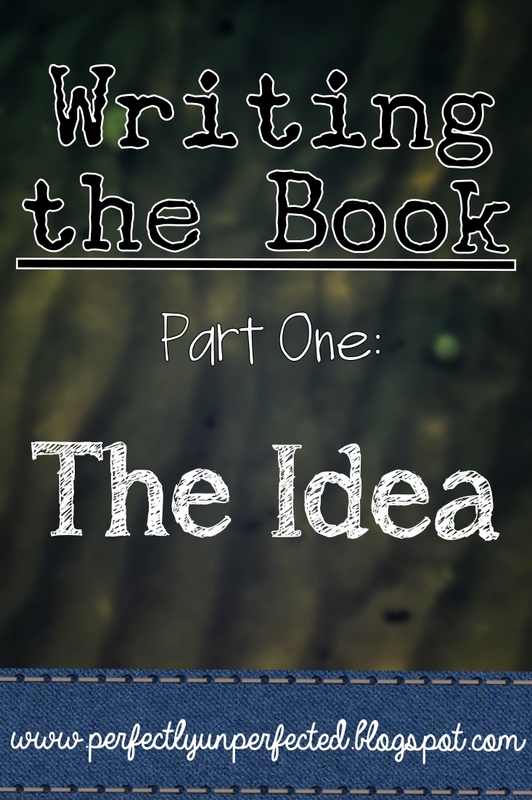 Anyway, today I wanted to talk about the most important piece in the book-writing process: the idea. It doesn't matter how you got it. Maybe you were watching TV or a movie when it sprung into your head. Maybe you were bored in class and daydreaming like crazy. Maybe you saw something out the car window that sparked a series of thoughts in your head. However you got it, you have it: the idea. It's there, and it's big, and you're mind is constantly scrambling to understand the awesomeness of this idea. It needs to be a book right now! I LOVE all your writing posts and I have been using your Writing the Book series lately. I came up with an idea and I have written down almost everything. I started asking questions that will further my plot, but now I have SO many ideas! I don't know where to even begin or what my story is even exactly going to be like! How should I start my story or how should I clear my mind of all my ideas? My next question is how to write a story when you haven't experienced it? My idea has quite a few components that I don't know a lot about. Should I do research, or just scrap the idea all together? If yes is the answer on research, then what type of research would be most helpful? How do I add new and exciting twists to my story? Do I outline it, or just let my characters speak? If none of those then how do I add twists in my story that will make the reader not want to put my book down? This is my last question: How do I come up with my own creative ideas? Like Hunger Games or Divergent? I would have never thought of that! How do I come up with my own brilliant not common story ideas? Sorry for all the question, I hope that they make sense! Thank you for all the work you put into your posts! Thank you! Aw, well awesome! Okay, let's see... first, I suggest trying to narrow down your ideas as much as possible. Are there any that you can combine? Are there some that you could scrap? See what ideas for together, and go from there. For your second question, research, research, research! One of the coolest parts about writing (I think) is that you get to learn about some pretty cool things when you research. Your research should obviously focus on what it is you need to know. I suggest googling things, reading books, etc. I can't go too detailed with help simply because I don't know what it is you need to research about. I can't really tell you how to come up with ideas; you just have to let it happen! Sometimes ideas will hit you in the coolest ways. Good luck with your writing, and if you have any more questions, let me know! Thank you so much! This was very very helpful!